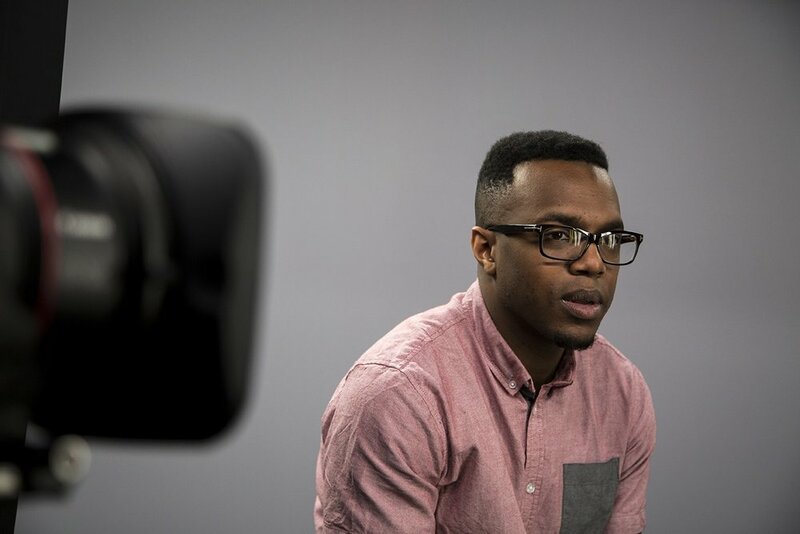 Jon Jackson is a graduate of Washington University in St. Louis and currently a 2019 Nieman-Berkman Klein Fellow at Harvard University, where his research is around black cultural influence and its effect on the marketing and advertising industries. 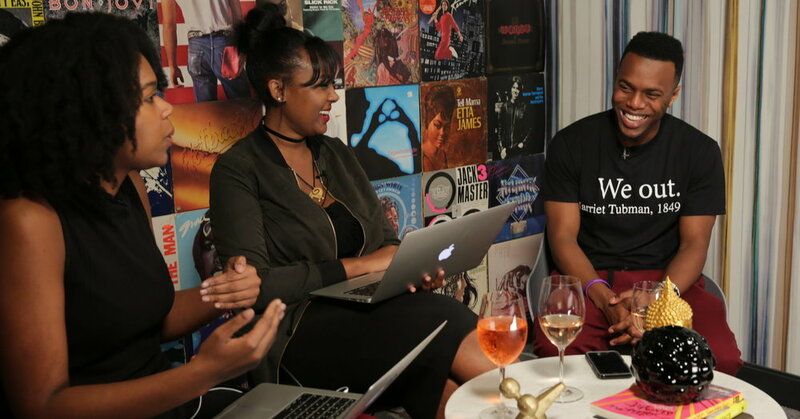 His most recent adventure was building Blavity Inc., which focuses on changing the narrative for black millennials and mainstream media. As Head of Corporate Brand, Jon spent time building partnerships and relationships with major brands, agencies, and organizations. Like any co-founder, by job-description was also “by any means necessary”. 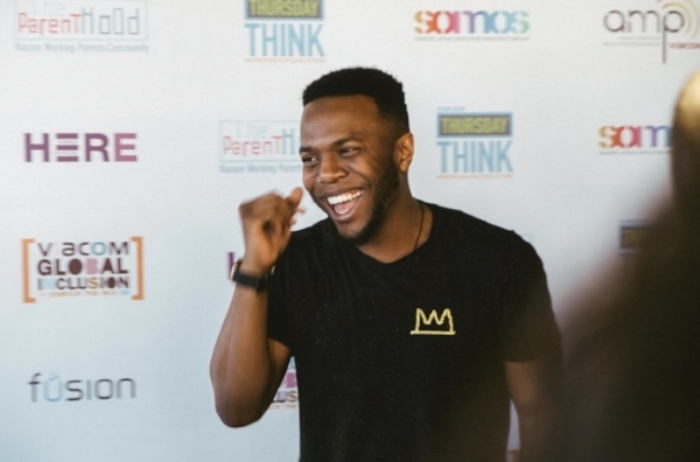 Before Blavity, he spent time in high growth roles at LinkedIn, where he most recently oversaw the Influencer Program, which connected 500 of the foremost thought leaders in the world to the 580 million members on the platform. Listen: Without access to role models and professional development, the youth in our community risk not going to college, remaining underemployed, and completely unaware of empowering entrepreneurial opportunities. Our programs provide platforms for today's leaders to educate and inspire the next generation of innovators and entrepreneurs in Washington D.C. and beyond. tell us about your childhood and what growing up was like for you? Jon: I grew up in a small town in New Hampshire right on the border of Massachusetts. I was home schooled for a while; my mom was a teacher. Being home schooled, my view of education and learning is very different because home school is purely self-directed. I would wake up and have a lesson plan for the day but it could go anywhere. The only real check-in I had was, depending on the state, there’s a series of exams to do home schooling all the way to high school that prepare you for college. I stopped home schooling in the 3rd grade and went to public school. When I got into school I was reading at a 7th grade level. Jon: Not a gymnast. I was just a hyperactive kid and my mom was looking for things for me to do. My sister passed away when I was little. The way kids act out and deal with grief is very specific and I just needed an outlet because I was trying to process things when I didn’t have the words for them. I’m still developing, so it’s critical that a child at that age has space – nothing tired me out. Gymnastic was the first thing my mom found where I was exhausted after the first day and she was like, “got him!” This is what we’re doing. What was the secret to working for LinkedIn? Jon: In 2012, my senior year of college, I turned down my only job offer with General Mills after interning with them during my junior year. I had a meeting with the CMO of General Mills at the time, Mark Addicks, and I asked him a question. “How do you see innovation in the firm growing?” He was like “Well Jon, it took us about 4 years to go from Windows XP to Windows 7. So, this isn’t necessarily the speed at which you might want. You should think about that if you work for a big company as your first job.” I didn’t expect him to be that honest. That was part of the reason why I decided General Mills was not for me. At the time I knew someone who had graduated in 2010 named Troy Coysee. He got into LinkedIn, told me I should apply. I applied, and I think this is relevant to the power of networks because he was like an older black kid on campus who just showed mega love. He helped me prep for the interview; the person I interviewed with for my first-round call was also a Washington grad. There was a community that helped me get there. I moved out to the Bay Area in September of 2013.
were you doing editorial content marketing at linkedin? LinkedIn was a good place to work because I had no idea what I wanted to do next. The world was my oyster. I had a premium account and all these other features that people don’t know about. I looked for jobs internally between zero and two years of experience because that's all I had. I found one, applied, and didn't tell my manager, which, is not what you should do to be clear. Don't do what I did. 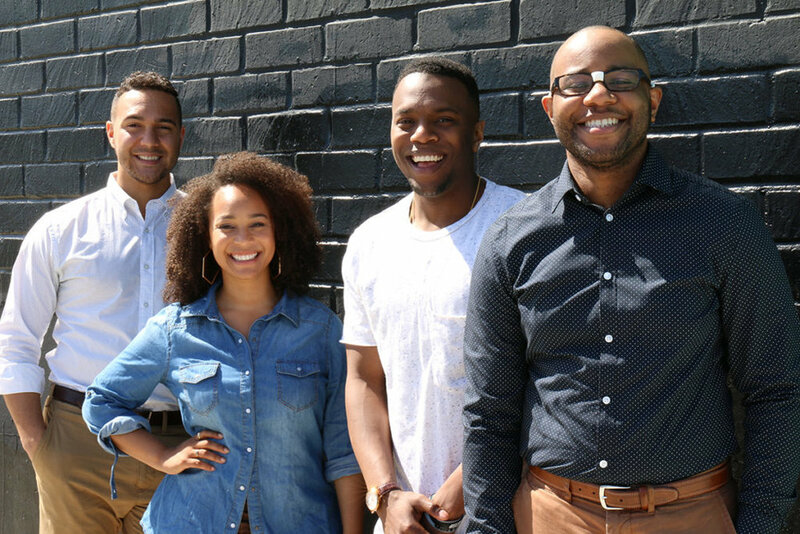 did blavity steal you away from LinkedIn? Jon: I wouldn’t say steal. When I was about to transition, Morgan sat me down and told me about the idea for Blavity. She's like, “hey I got this thing, I think, I’m going to work on it. I want you to be involved.” I was like, “say less.” She told me I didn’t have to quit my job and I was like, “oh okay, it's lit!” At that point I was doing a lot of editorial, a lot of writing, and then Blavity was growing at the same time. I was growing in my career. I had a full-time gig and Blavity was onto something big. Johnny: Is this how most entrepreneurial ventures start? Jon: I think that's a helpful way to do it. Sometimes people jump out the window and blow it all up. I don't like people who tell other people to take risks that they've never encountered. I think that's super irresponsible. I feel that if you have to knit your own safety net, you have different things to think about. I'm not in the business of telling people to quit their day jobs to be super entrepreneurs. Do what works for you and make a plan that allows you the personal runway to make educated decisions about what success looks like to you. best advice you ever got from a mentor? Jon: Gamy just rocked me this week. Her name is Diana – super close to me. She's part of the reason I survived college. She told me that I have to stop putting people who are bad to me on a pedestal and then making people who are good to me pay the price for what the other did. And that's a really deep bar. Who would be on your Mount Rushmore of inspiration? Jon: Frederick Douglass, Harriet Tubman, James Baldwin. Johnny: A Civil Rights Trio. Why’d you choose James Baldwin? Jon: Baldwin's work constitutes someone who was forcibly working to not allow himself to be characterized by a society that didn't want him to ever feel valuable. By doing that, he wrote with such ferocity that it allowed other people to have their lived experiences finally elucidated publicly. That's why if you look at old Baldwin footage he's very, very specific with how he talks, specifically to white people about black stuff. If you think about how he's coming up, they don't have any answer for his pen game. Baldwin's out here bodying people intellectually. He sits there and says, “here are the types of questions you should ask if you were good at your job. Here's how I'm going to respond to them and here's what I'm going to leave you with because I don't care, I'm not happy to be in rooms that aren't made for me. I know who I care about, I know who I'm here to serve and I know that my creativity isn't bottled, so you can sip it like a Fresca. It's for what I say it's for.” I think he was consumed by parts of his work because he wasn't allowed the freedom of full expression the way he should have been and that's a tragic tale. His canon of work is something I want. I want a body of work. I'm not interested in these one-offs. I'm interested in a portfolio. It doesn't matter if you watch footage of me in 2013, right now or in 2023. There’s a consistent thread. It's about sewing something together and that's what Baldwin’s work is. What would you say is your passion? Jon: I'm interested in people understanding what happens when they believe in their narrative and then figuring out new ways to deliver it. For me, media is still the most powerful form of influence. Because our brains are wired for stories and so the story you tell yourself, the story you see, the story your village tells you, all affect what you think you're capable of. Physiologically, you can rewire your neural pathways to believe new things. Are there any books that have changed your life? Jon: I’ve most recently read a book called Emotional Agility by Susan David. She's a psychologist at Harvard, has a practice and also runs a leadership hybrid Institute. The premise of the book is understanding that feelings aren't necessarily facts. It’s important that they're valid but they are not factual all the time. Sometimes we think they're fact then we act on incorrect information based on how we feel and then we justify by saying “I felt it.” I felt like this, so I did that. Her thesis is around dealing with emotions as they rise and still being agile. advice for someone who wants to build a body of work? Jon: First, don't always look for people you think are successful to give you the advice you need. Listen to what I'm saying, but interrogate it. If I'm not who I say I am, take what you want and go. Second, something a close friend of mine taught me and it's called “Sunk Cost Theory.” It's an economic theory and the idea is that once we have done something for so long we treat it as a sunk cost – we can't get that time back. The problem is sometimes we apply that, get stuck in our ways, and think it's too late for us to change. The danger, and I think a lot of times we struggle with this, is that we treat perseverance as if it means we only have to do the same thing over and over again. We don't lose perseverance when we stop doing something that's not for us. We speak about redirection but we forget that it requires perseverance to redirect. It requires perseverance to find new alignment. It also requires us to stop doing something. “Sunk Cost Theory” is why I think some of us repeat the loops of people we didn't want to be anything like. Let everyone know how they can find you online. Jon: You can find me online @Jon__Jackson. I have a newsletter tinyletter.com/mrJackson. I'm trying to be more consistent with that. The more people that sign up the more accountable I am. I'll write more consistently. Make sure to slide in Johnny's DM’s and tell them we need a reunion show. I watch all these people from season one, two, three, four, and they're popping now! I'm trying to see what's really good with them. I think we need a reunion show. Interested in learning more or connecting with Jon?